In November of 2014 the Tánaiste and Labour Party leader, Joan Burton, was greeted by several dozen local residents protesting the imposition of water taxes via the establishment of the public service company, Uisce Éireann – Irish Water, during a visit to An Cosán in Jobstown, Tallaght. The demonstrators delayed Burton’s exit from the area by staging a peaceful – if highly voluble – sit-down protest on the main road in the locality for nearly two hours. In the days that followed the Tánaiste and her colleagues in the Fine Oibre coalition acted with typical self-entitled outrage at the events of that afternoon in Tallaght, boosted by hysterical reports from the right-wing press claiming that the Labour boss was “trapped” and “besieged” in her vehicle by “riotous” demonstrators. Since then An Garda Síochána has pursued a relentless investigation against those deemed to be the principal organisers or participants in the protest. This has led to several headline-making events, including night-time raids on people’s homes, and the detention of individuals ranging from a sixteen year old schoolboy to an elected deputy in Dáil Éireann, Paul Murphy TD of the Socialist Party-led Anti-Austerity Alliance. However the situation is turning ever more sinister as we learn of the possible prosecution of some twenty men and women in relation to the Jobstown demonstration, including Paul Murphy. Rumours of the forthcoming charges were heralded by RTÉ’s crime correspondent Paul Reynolds on Wednesday’s 9 o’clock news, almost certainly through the usual off-the-record Garda or government briefing, something that the Dublin South–West TD and other opposition deputies in An Dáil have condemned. Speculation is now focused on the “crimes” the group is alleged to have perpetrated, with the press reporting that Claire Loftus, the Director of Public Prosecutions, has ordered that charges of false imprisonment, violent disorder and criminal damage be brought against them. That a peaceful sit-down and “slow march” protest by the some of the residents of Tallaght, a demonstration that temporarily delayed the exit of the Tánaiste from the socio-economically deprived Jobstown area by a couple of hours, can be characterised as “false imprisonment” is beyond farcical. This is not about the law, or its fair and even-handed application. This is a message, a threat to the citizenry of Ireland in the lead-up to the next general election. Publicly protest the iniquitous policies and directives of the Fine Gael and Labour government in a manner that they deem offensive and regardless of position or status you will be criminalised. Now twenty ordinary people, those courageous enough to vocalise their opposition to the right-wing Fine Oibre coalition, face the prospect of trial and possible life imprisonment. So much for a Free Ireland. I expect Janis and a comment about IRA policing in the Short strand in 5..4….3..
God save Ireland, as it is clearly beyond saving by anyone else, from this bizarre crew of a coalition of Gombeen men/Bog trotters and the like. Ireland now resembles the Classic East European “Potato Republic”, (The EU answer to the subtropical Banana Republic) with its comic opera fascism and incompetence. Next year is the centenary of the “Rising”. If the ghosts of those who sacrificed themselves that Easter could see what has happened to their dream, they would weep cold tears. Which is why our present leaders are terrified of the ghosts of the Rising and are hoping to keep them firmly under control. The irish state is such a disappointment. and regardless of position or status you will be criminalised. Just because someone is a TD doesn’t mean that he’s untouchable. Also – do you not trust the Judicial system of your country? 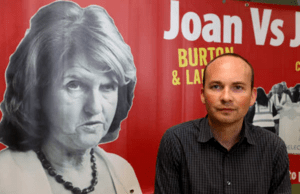 If Paul Murphy & co are innocent then surely the court will find them not guilty – what’s the problem? It’s not like the courts are particularly harsh in this country – on the contrary – even murderers get sentences that I think are way too low so I would be very surprised if they actually get imprisoned for life. It’s some stretch to classify a sit-down protest in a road, delaying the movement of a deeply unpopular party leader and senior government minster by a couple of hours, as false imprisonment or a crime of any sort. Common sense in the application of the law would simply have left the matter pass. This was pushed from above. Of that I have no doubt. Common sense in the application of the law would simply have left the matter pass. If that’s the case then the court will find them not guilty and the verdict could give a boost to Paul Murphy’s popularity and/or set a legal precedent. Thanks for showing your true colours baltic prick. a bit unnecessary Mark. Janis makes some very good points, though i disagree with most off them. besides, i think we’re all entitled to due respect regardless of the rightness/wrongness of our opinions. Calling Ireland “police state” is an insult to people who are living in actual police states. quite Janis, corrupt quasi-oligarchy/plutocracy would be more accurate. Janis is a troll nothing more. Yep – and a very, very bitter individual. Any reason in particular for giving the name of the DPP Séamus? Don’t know why it’s the case but the DPP is often a faceless figure in reportage here. Nope, just the way I wrote it, unless I can claim some instinctive journalistic brilliance 😉 Didn’t think of it at the time but yes you are right there. Reblogged this on Profiles from the Fringe.